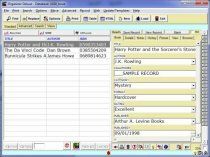 Free Book Organizer template for Organizer Deluxe and Organizer Pro users. 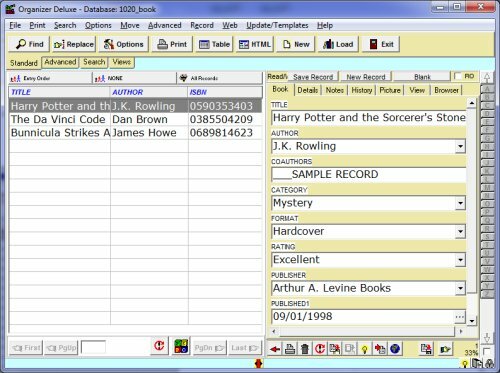 Manage book, small library information including book title, book author, co-authors, book format, publisher, year published, category, rating, notes, and more. 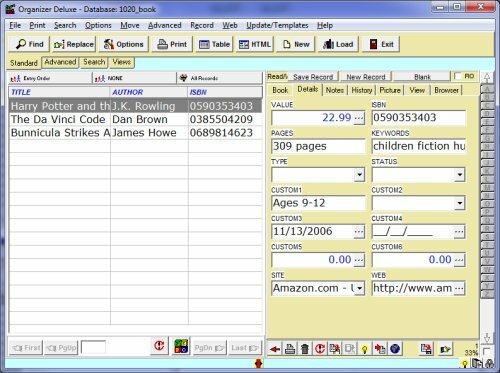 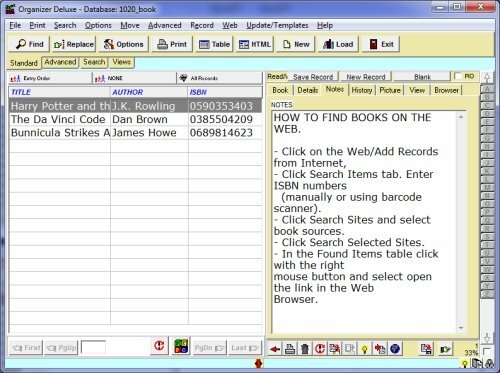 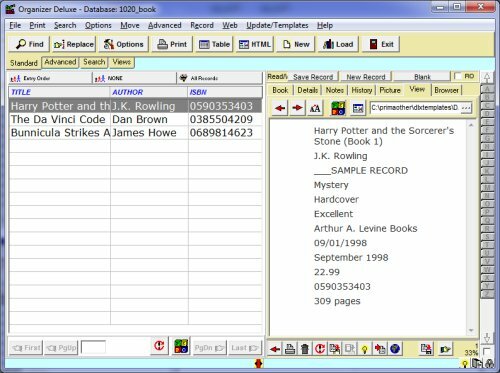 Software template can be used by small libraries, and private book collectors.